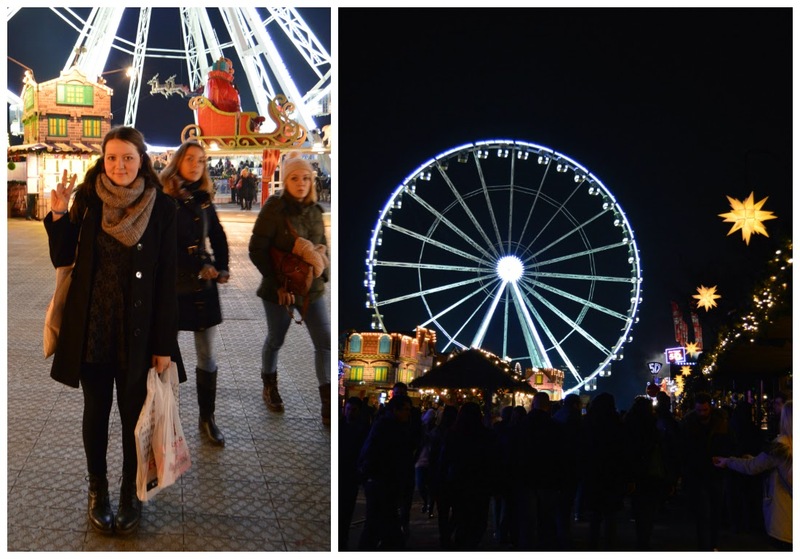 The main reason we were in London was to see Winter Wonderland in Hyde Park. We had heard it was really pretty and magical here in the cold and we just had to see it! Anyway it was HUGE! (second time we were lucky hihi) I have never seen so much Christmas at one place! Stalls with so many different kinds of food and christmas sweets. There were rollercoasters as big as in the stationary amusement parks in Denmark. Here they build them only for use in 1½ month and removes them again. It's crazy! We only went there at night so you could see all the christmas lights and don't really see the grey sky and the puddles around the place. They were there of course but you were only seing the beautiful decoreated trees and stalls and everything! If you are going to visit Winter Wonderland this year or next year, remember to find a stell where they sell "Tokens". It's the way to pay anything in there if you want to try the rollercosters or ice skating etc. I'll put a few extra pictures in this post than i normally do. So you can see how big and beautiful it was!